I have a confession to make: I’m not a particularly organized person. My desk is a mess. I operate on the fly more than I’d care to admit. And if I’m not careful, my Facebook ads will end up a disorganized mess, too. 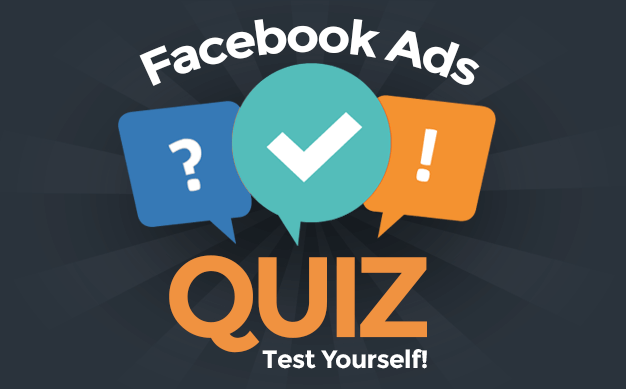 There’s an easy solution that most Facebook marketers completely ignore: Labels. 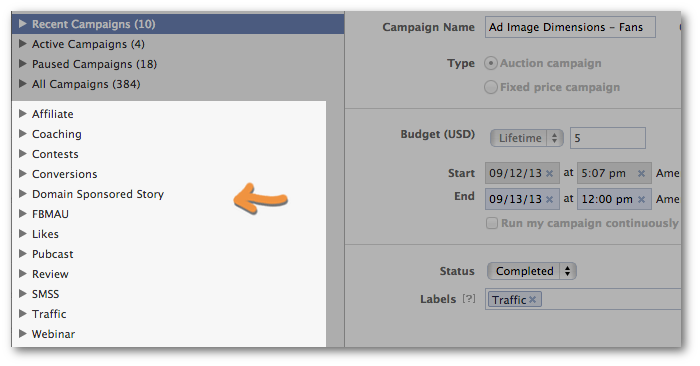 When creating a campaign, you’ll see a text box for Labels. You can enter as many labels as you want here. Consider them folders to keep together everything that is related. 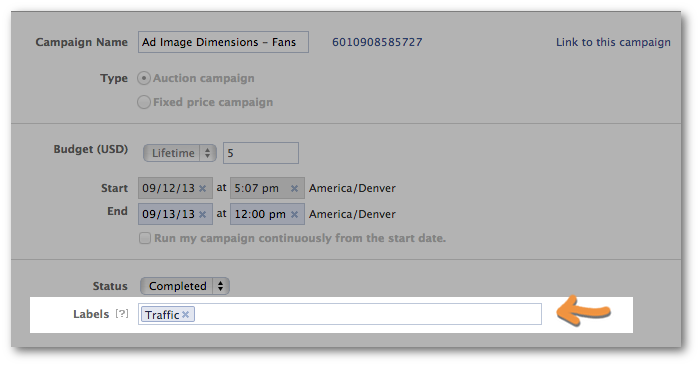 Labels are a little-used feature that can help you organize your Facebook ad campaigns. These are just a few ideas, but there are no rules to labels. Use them however you’d like! 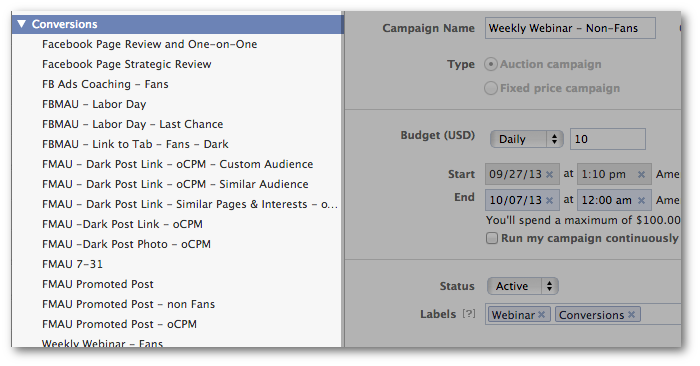 Now, it would be nice if Facebook applied these labels outside of Power Editor and into the ad reports. Unfortunately, they do not. Currently, this is only to keep your campaigns together as you’re working on them in Power Editor. This remains helpful if you want to, for example, refer back to an old and related campaign. This is good for optimizing and duplicating. What would be great, though, is if you could run Facebook ad reports based on labels. My guess is that this will come eventually. It’s one more reason to use them! Do you use labels? How do you use them? NOTE: Labels is just one of the 43 topics covered in FB Marketing Advanced University: Power Editor, a step-by-step training course. Go here to learn more!